A great way to preserve your garden's bounty through the winter. 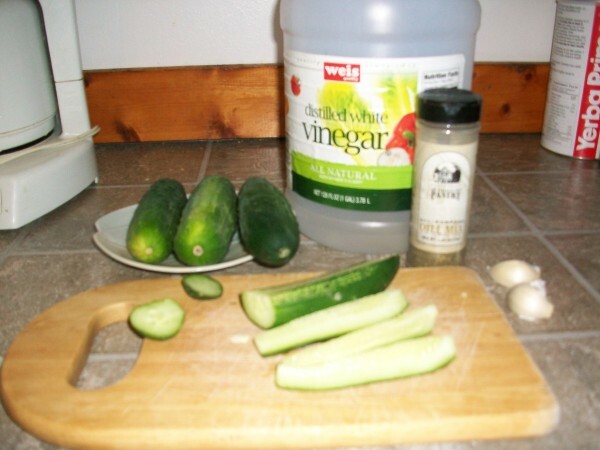 This is a guide about making refrigerator dill pickles. Super easy, super crunchy and deeelish! With a hint of sweet and just enough spice, these pickles are great on sandwiches, diced in salads, and straight outta the fridge munches. Enjoy! 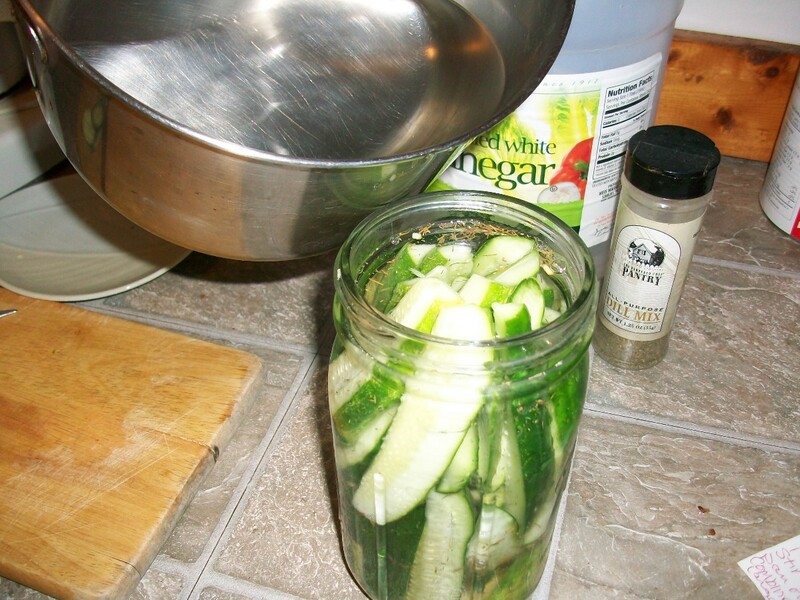 Dice the cuke, add to a mason jar with a tight fitting lid. Add in dill, coriander, and garlic salt, shake well. In a medium sauce pan, add water, vinegar and sugar. Bring to a boil and then remove from heat, let sit until cool. 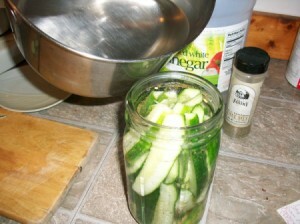 Completely submerge the cukes and leave out to ferment for at least 3 days. When fermented to your desire, place in the fridge, where they keep for up to a month. Excellent way to use some of those cucumbers from the garden. Mix the vinegar, sugar, salt, and seeds together well. Pour over the cucumbers, onion, and green pepper. Put in refrigerator in Tupperware or in glass jars. Enjoy these easy, crunchy and yummy tasting homemade dill pickles! 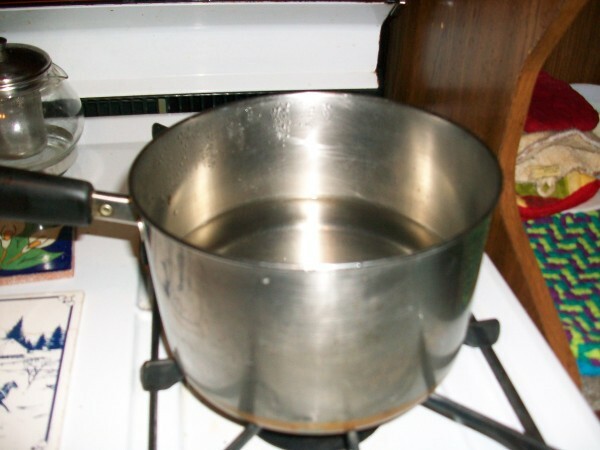 Stir water, vinegar, salt and sugar in a pan over high heat to boil. Remove and let cool. Slice cucumbers and chop garlic. Gently mix sliced cucumbers, chopped garlic and dill together. Place cucumber slices, garlic and dill into a mason or other glass jar. Pour your cooled mixture on top. Close jar and place in refrigerator for 3 days to marinade. Great recipe. I'm going to try it. This keeps a long time and is very easy to fix. 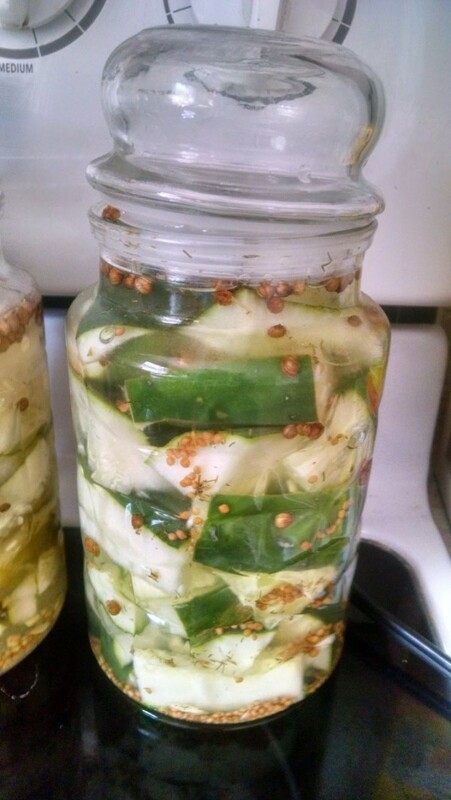 Pack onions and cucumbers in a gallon jar. Mix rest of ingredients until sugar and salt is dissolved and pour over cucumbers and onions in jar. Mix sugar, vinegar, salt and spices together. Do not heat. Keep this syrup cold. Wash and sterilize 4 quart fruit jars. Slices 1/2 of an onion into each jar. Wash and slice enough cucumbers to fill each jar. Stir syrup well and pour over cucumbers and onions. Screw on lids. Refrigerate five days before using. Keep stored in refrigerator. Wash cucumbers and dry. 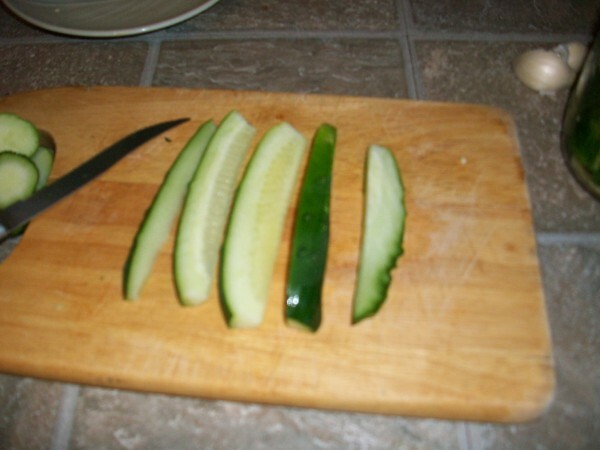 Can score down the sides of the cucumbers with a fork to help absorb the liquid faster. Cut in thin slices in a large bowl. In a smaller bowl, combine all other ingredients and mix well. Pour over cucumbers and mix thoroughly. Put an air-tight lid on bowl to store in refrigerator. Stir a few times before ready to serve. Best if left to chill for a few hours before serving. These go great at potlucks and keeps well in refrigerator for quite a while. We prefer these without the last 3 ingredients.